The Outer Limits: Nothing sparks the imagination quitelike a star-studded view of the sky above. 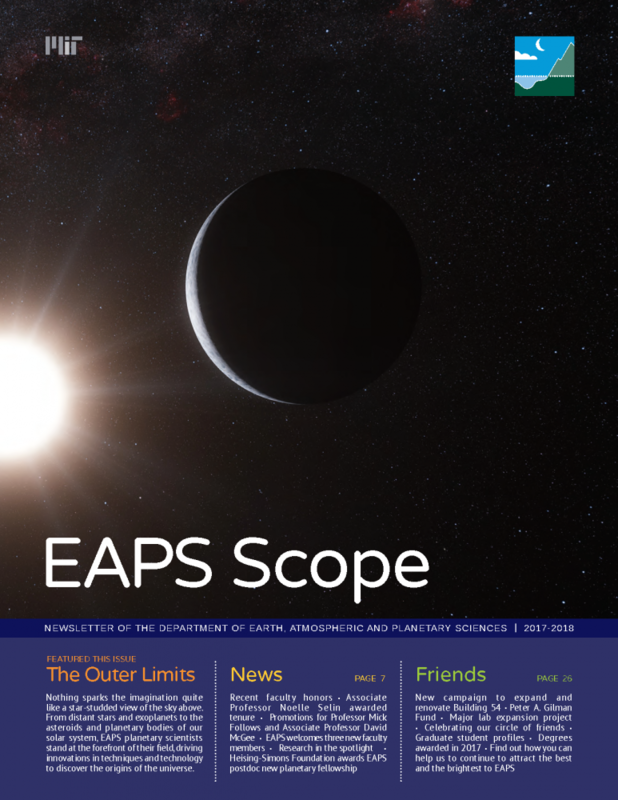 From distant stars and exoplanets to the asteroids and planetary bodies of our solar system, EAPS planetary scientists stand at the forefront of their field, driving innovations in techniques and technology to discover the origins of the universe. In EAPS, we seek to understand the Earth within the context of our solar system—and the universe beyond—by exploring planetary accretion, magnetic fields, formation of climates and atmospheres, and the potential for life on planets circling distant stars. Last year Julien de Wit and colleagues discovered a system of seven new exoplanets using a prototype—and now they’re scaling-up the project, building new SPECULOOS telescopes to expand the search for habitable worlds. With a long and accomplished career as prelude, Richard Binzel is just getting started—with an impressive four new NASA missions set to explore our asteroid neighbors. In the Weiss paleomagnetism lab, meteorites reveal clues about how—and when—the early solar system formed from a turbulent cloud of dust and gas. We take a look back at Wallace Observatory’s near half-century of teaching and research, and look forward to the view from a new telescope upgrade. Department of Earth, Atmospheric and Planetary Sciences faculty continue to earn numerous awards and honors, in recognition of their leadership in their respective fields. EAPS postdoc Jason Dittmann of the Seager Group is recognized with the generous support of the Heising-Simons Foundation. A newly-announced capital initiative promises major renovations and new lab space for EAPS and our home in the iconic Green Building. A forward-thinking gift for forward-thinking research. Meet graduate students geophysicist Ekaterina Bolotskaya, planetary scientist Zhuchang Zhan, geobiologist Jeemin Rhim, and climate modeler Tristan Abbot.